Mark oversees the litigation and recovery services provided to the company’s mass tort clients. 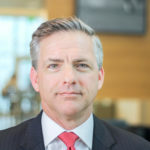 He also serves as the Chairman of Class Action Settlement Services, LLC, a division of The Rawlings Group that provides data mining and check disbursement services in complex litigations. Since joining the company in 1991, Mark has provided leadership in many areas, including marketing and subrogation law. He received his undergraduate degree from the University of Louisville, and earned his J.D. from the University of Louisville School of Law.